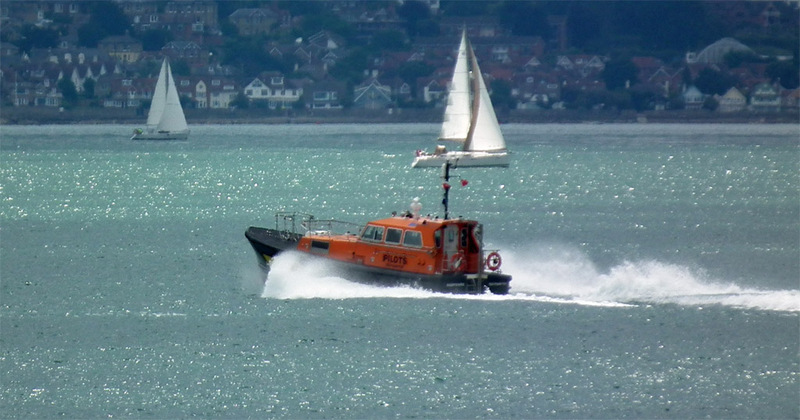 Probably the biggest container vessel I have ever seen (to date), CMA CGM Lyra heads for the Solent 30 June 2011. 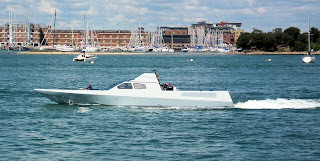 An interesting encounter in Portsmouth Harbour 30 June 2011. 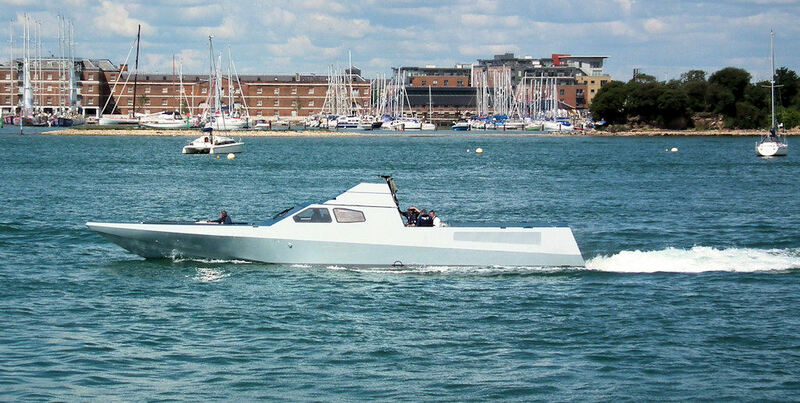 Is MOD playing with stealth technology for Police vessels? Solent pilot vessel Hampshire on service 30 June 2011.